For smartphone fans looking to purchase a new handset in the coming months that isn’t made by Apple, the choice is growing larger by the day. Besides the popular Android platform consumers will soon have the choice of the Windows Phone 8 operating system, and today we are looking at the HTC 8X vs Nokia Lumia 920 with the price that may determine what the best handset to get between the two. Earlier today we compared the Nokia Lumia 820 vs the HTC 8S, but there will be many considering the more expensive siblings of the two handsets. As Cnet are reporting the two handsets look remarkably similar in their colourful unibody design, and they also use the same 1.5GHz dual-core Qualcomm Snapdragon S4 processor. The HTC handset is significantly smaller though, as well as being lighter and thinner than the Lumia 920, which to some users will be decisive when choosing between the two handsets. The Nokia Lumia 920 has the slightly bigger display measuring in at 4.5-inches compared to 4.3, but the 8X has the slightly higher pixel density of 342 ppi compared to 332 ppi. This will mean the HTC display should look marginally sharper, but Nokia claims its display will offer the smoothest experience during video playback. When it comes to the handsets camera’s things are not so clear cut as the 8X features an 8MP sensor, while the Nokia has an 8.7 unit, but this may disappoint like the Lumia 900 did. Connectivity wise HTC made the strange move of equipping the 8X with Bluetooth 2.1, while the Lumia 920 goes with Bluetooth 3.1. Both handsets feature LTE and NFC connectivity though. Battery wise the Lumia 920 shades it with a 2,000 mAh unit compared to the 8X and its 1,800 mAh offering, but the Lumia 920 larger screen will need this extra juice. The Lumia 920 wins out in the memory stakes with 32GB built in plus 7GB of Microsoft SkyDrive storage, while the HTC 8X has 16GB of on board storage. Both handsets have 1GB of RAM but there is no option of a microSD card with either device. 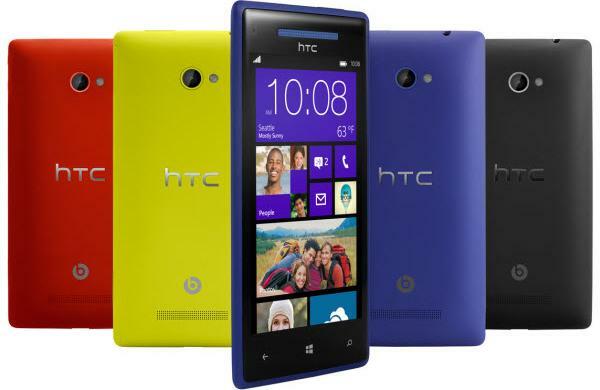 When it comes to prices in the UK online retailer Expansys has the HTC 8X up for pre-order at Â£399.99 SIM free, while according to WMPoweruser another retailer, Digital-Phone.co.uk, has the Lumia 920 listed for Â£469.99. So if these prices are accurate once the handsets are released will it be the phone or the price that will deter you from choosing between the two? This is so true! look at the lag of support on updates for your Android devices! ICS took ages JB took ages. Im thinking im gonna go with the HTC 8x, every phone Nokia has put out in recent years has been a failure, whereas HTC has been the complete opposite, But the only real thing that could switch me the other way would be the battery life, becuase i have a slight feeling that the beats amps are suddenly going to make music listening a battery intensive task. You will regret it if you compare Pictures on the Engadget site. The Nokia has the first real good camera in a Phone and I can know it because I own a Canon EOS 550D and made some good low light pictures with it. I was amazed how good the pictures are of the Nokia. Agreed, can’t respect the reviews on a phone review website where some of them are so obviously biased! Lumia 920 prices are just starting to pop up on price comparison sites in Sweden. Cheapest so far is 1500 Euros. That is more than double the price of HTC 8X. I hope this is seriously wrong or Nokia is bound to be doomed. I hope you are right but given Nokias investment in advanced cam technology, screen and wireless chargning, I’m not so sure. WTF? You guys have obviously already decided to put your inconsiderable weight behind HTC, for whatever reasons. The camera on the OneX has overwhelmingly been declared a pile of poo, while the PureView sensor/optics/OIS/software combo in the 920 is yet to be independently put to the test. Based on the information released so far, any tech journo worth their salt will have already worked out that the 920 camera performance is highly likely to be pretty impressive when it does eventually reach the hands of real experts capable of making technical comparisons e.g. dpreview. Chubb you make me laugh. Because that’s clearly the way the market has been going with the clammer to launch devices that are smaller and smaller. I mean come on Nokia have you not seen the iphone 5 and the Galaxy SIII? Chubb sees the trend and nails it. Thanks Chubby. Got to say I was going for NOkia, but if they insist on the Â£470 price tag, I’ll be going with the HTC. Obviously biased. Pureview may going to disappoint? Are you kidding?